When Modernization introduced India’s legal system to the tribes in the North East, many people felt that modern institutions, including the legal system, devalued their culture. In order to preserve their identity, they demanded recognition of their customary laws. Today, many Tribal communities in North East observe customary laws as part of their culture and tradition- a right that is recognized in India’s constitution. Though each customary law is unique, they all share a patriarchal bias that denies women the right of inheritance, child custody and a role in decision making. With modernization of customary laws and the current effort to document, amend and codify them. There is a concernwhether this process will help women achieve gender equality. While the Indian constitution guarantees women’s rights, traditional institutions commonly exclude women, especially in decision making. Customary laws are based on a patriarchal division of gender roles where women are considered homemakers while men are providers and protectors of the family. Women remain invisible in public domain such as Village Councils, religious bodies and other civil venues. With no presence in decision making, they are bound by the customary laws defined by men. Many of these laws promote gender inequality; for example, women do not have the right to inherit family property or land, nor do they have the right to challenge these laws. While Rural Women Upliftment Society (RWUS) understandsand recognizes certain existing merits to customary laws, it also clearly understands that these laws are made by men in highly patriarchal settings and as such generally partial and most discriminatory to women. Customary institutions are generally comprised solely of male elders who bring a male-biased view to how the laws are written and how justice is dispensed. The laws do not protect the rights of women and contradict the fundamental principles of universal human rights- especially the rights to property inheritance, child custody and in decision making. Further the laws are biased towards those in positions of power because there is often an inadequate investigation process that is hampered in some cases by age-old superstitions such as determining whether it occurred above or below the roadside. 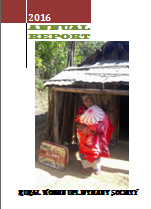 Finally, many tribes in the North East have not documented their customary laws. Unwritten laws provided room for creative implementations and further discrimination. The consultation program is designed to pave the way for a systematic process for changes, reviewed, amends and codified tribal customary laws to support gender equality in the society.